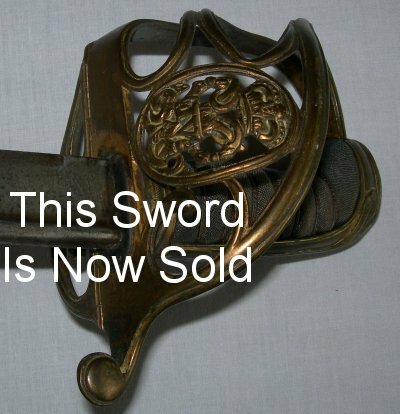 Good condition George 4th (1821 to 1830) British Infantry Officer's Sword. Early pipe backed version of the 1822 pattern infantry sword in generally good condition, working folding guard, good fishskin grip (some visible wear one side) with twisted wire bindings firm and intact, plus steel field service scabbard intact, albeit a little rusty (stable black rust). The 81.5 cm blade with clipped point is the full weight / width service version, so the sword almost certainly will have seen active field service. Further pictures available upon request.